Many organisations have data that is inaccessible to existing reporting tools for a variety of reasons, it may be located in a remote system, a cloud-based solution or perhaps not in a database at all, but simply published on a web page. 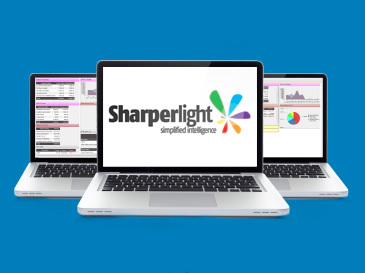 In this webinar we explore how to turn data into measurable business insights by accessing data in the cloud with the Sharperlight reporting and business intelligence tool. Quickly and easily access data anytime, anywhere and on any device in order to work more efficiently. Staff can make better informed decisions as accurate and timely information is available as and when they need it. Access data from multiple sources by including writing reports that can query systems or data held in web services such as Google Docs spreadsheets or documents, or even HTML tables on any web page. Transform data for presentation in attractive and interactive reports and dashboards.